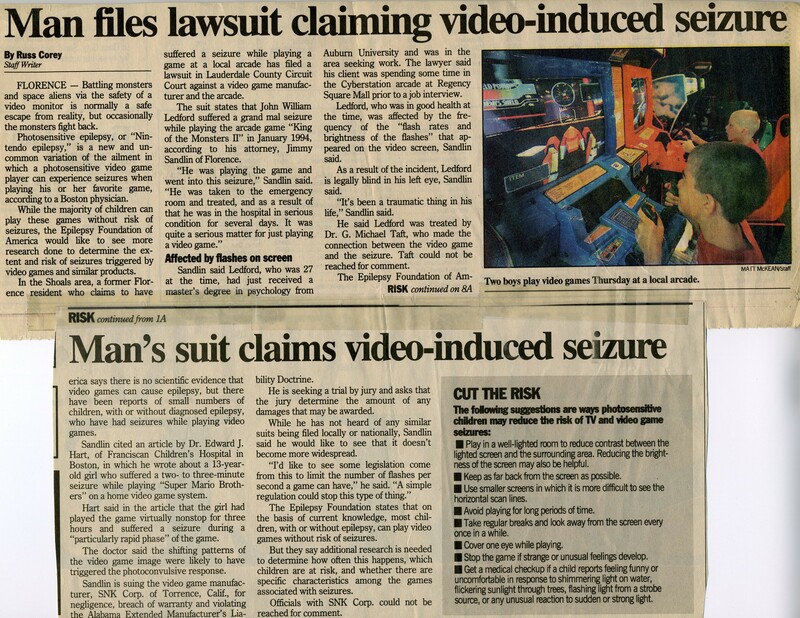 While technically it is the games fault, he should not be able to sue by the fact he had a seizure that would have probably happened at some other point from another source. It still is normally the parents fault for not reading the manuals thinking they can sue if they or their children have problems with epilepsy. He may have been tested but that does not hide the fact that it can be developed by any person at any age. So as you like to “wonder” how game forums react, we are more intelligent beings than someone who posts news that does not go and do their research automatically blaming us or the games. Since, as you point out, photosensitive epilepsy can emerge at any age, and since games can be designed in a way that is unlikely to trigger seizures, why don’t developers try to limit the seizure risk in their games? Whether or not a user sues is beside the point. I’ve visited a number of game forums. As you must be aware, while sometimes the seizure issue is discussed in a respectful way, often it is not.